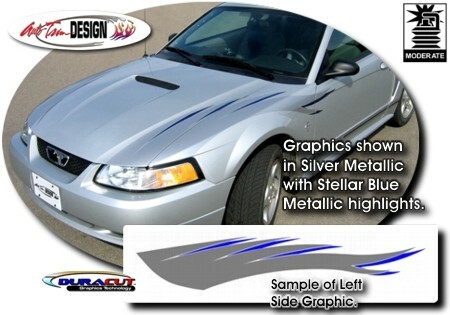 Check out these hot graphics for your '99-'04 Ford Mustang's Hood! Uniquely designed from the Mustang's flowing mane, these graphics also take on the appearance of flames. These two (2) color graphics are easy-to-install and available in a wide variety of colors (some trimming and assembly required). Graphic kit includes online application and care instructions. Order them today!